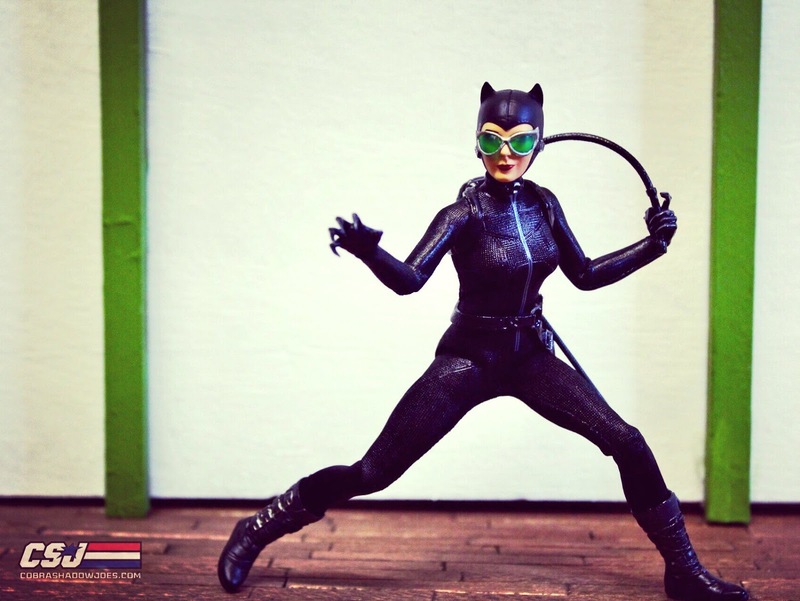 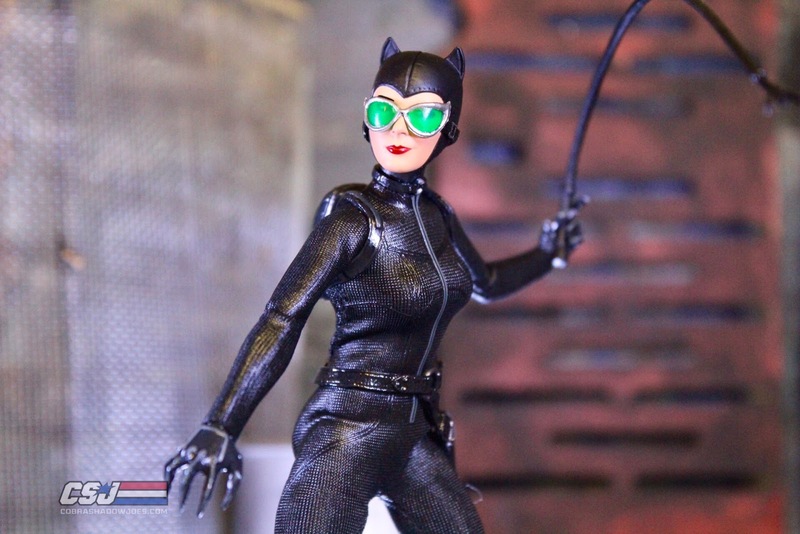 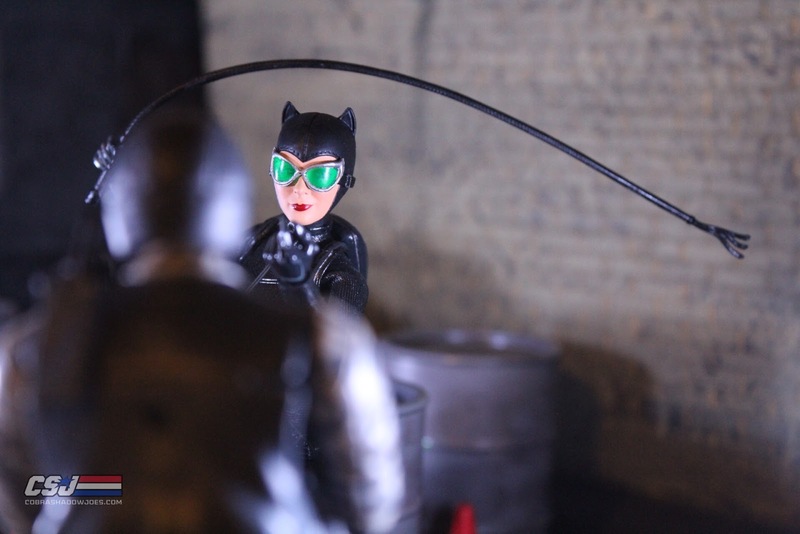 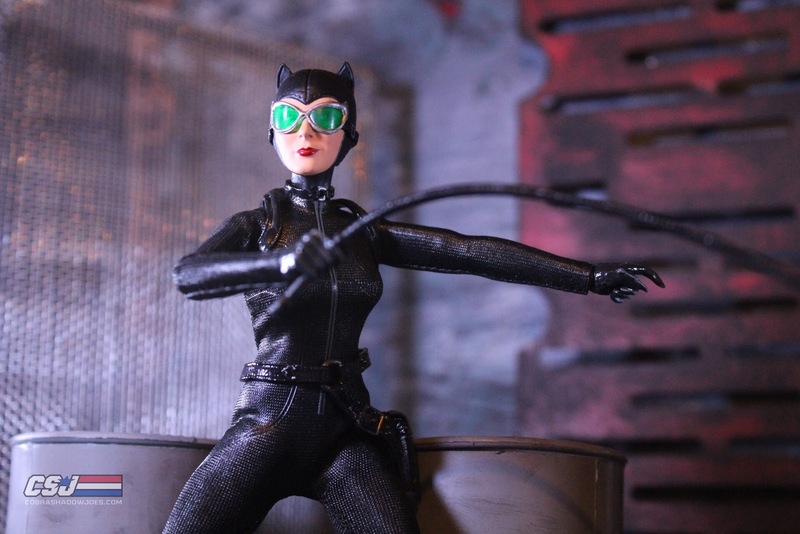 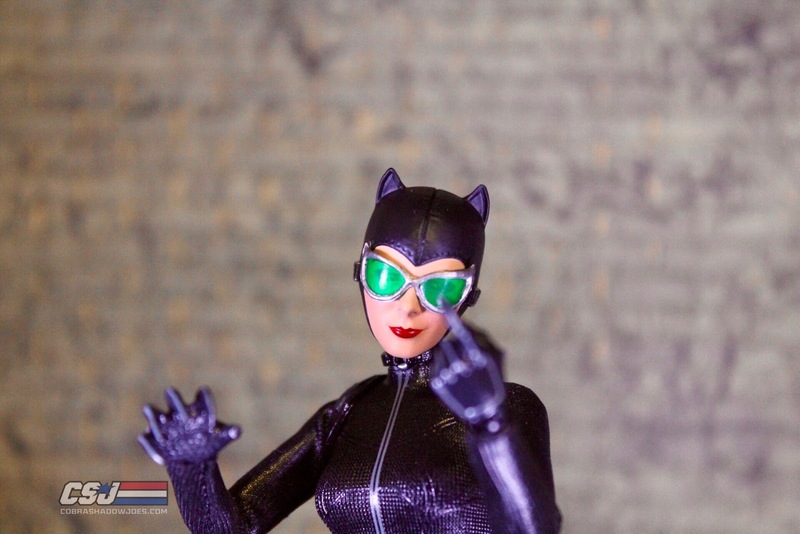 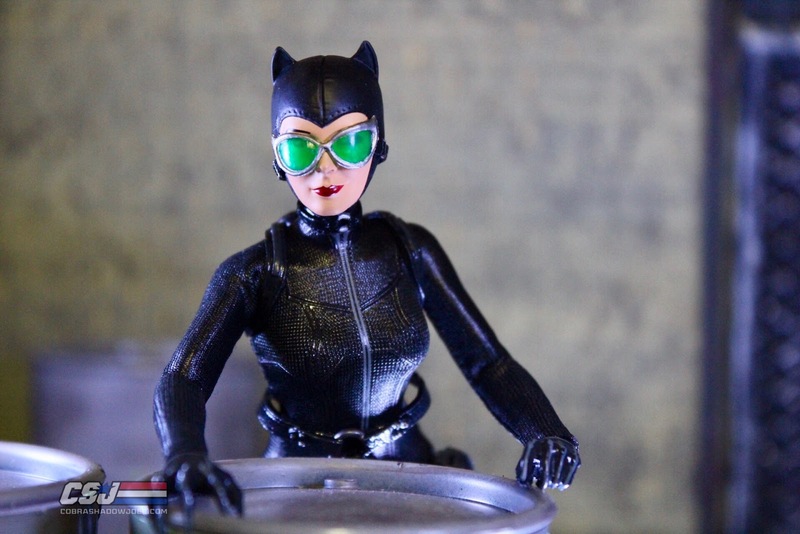 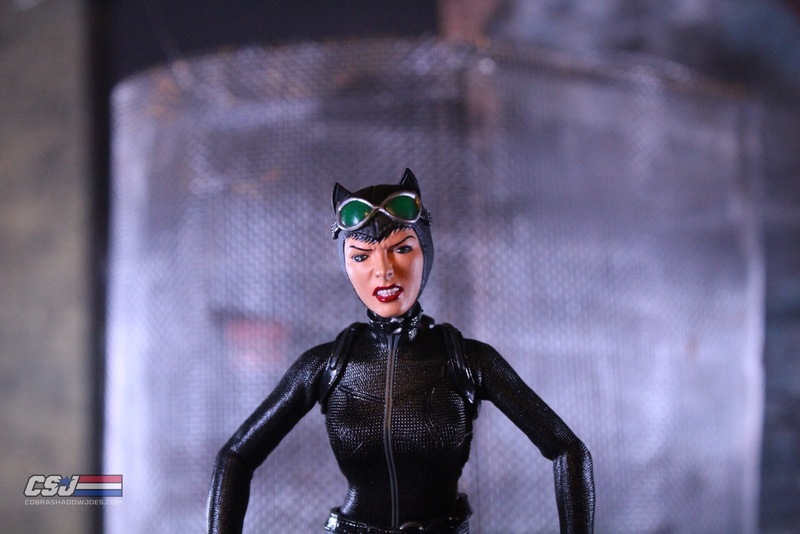 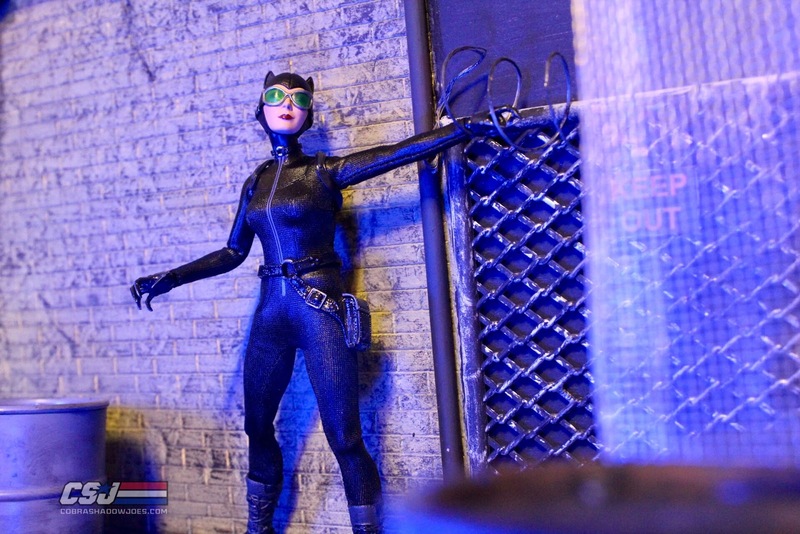 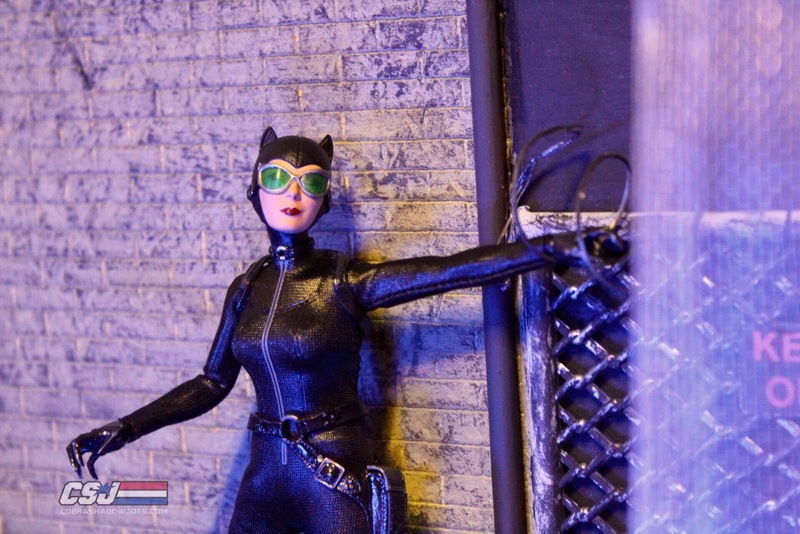 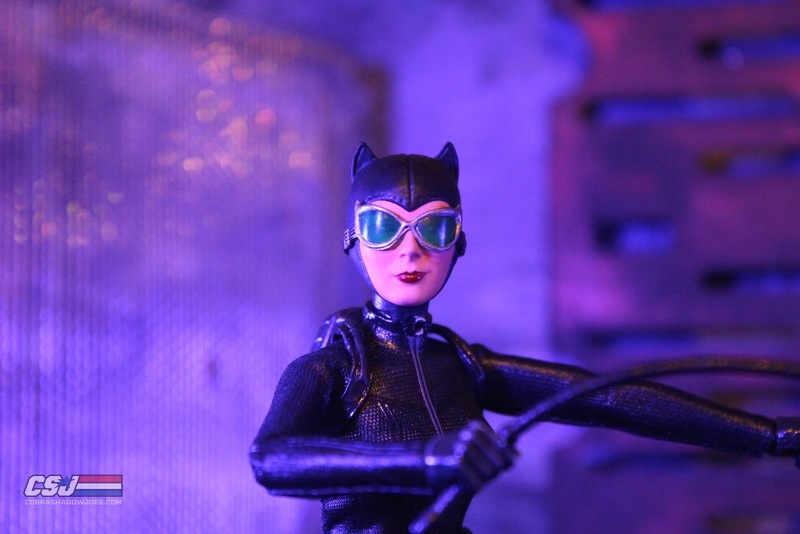 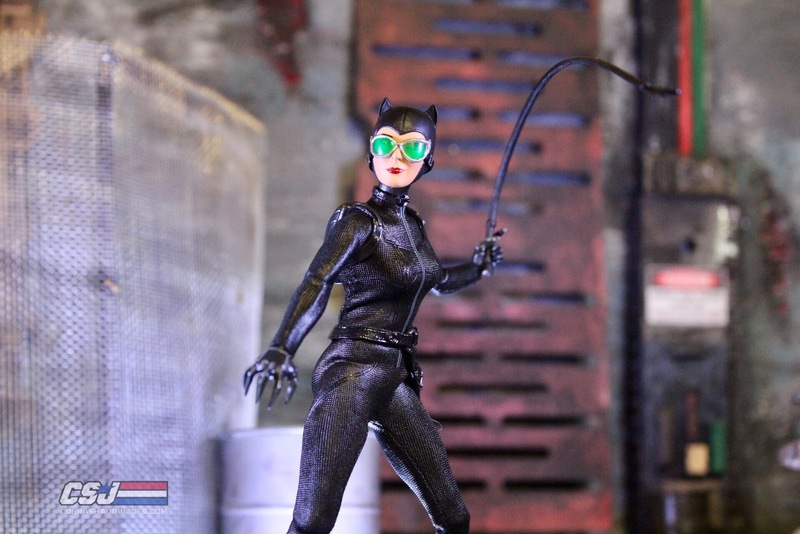 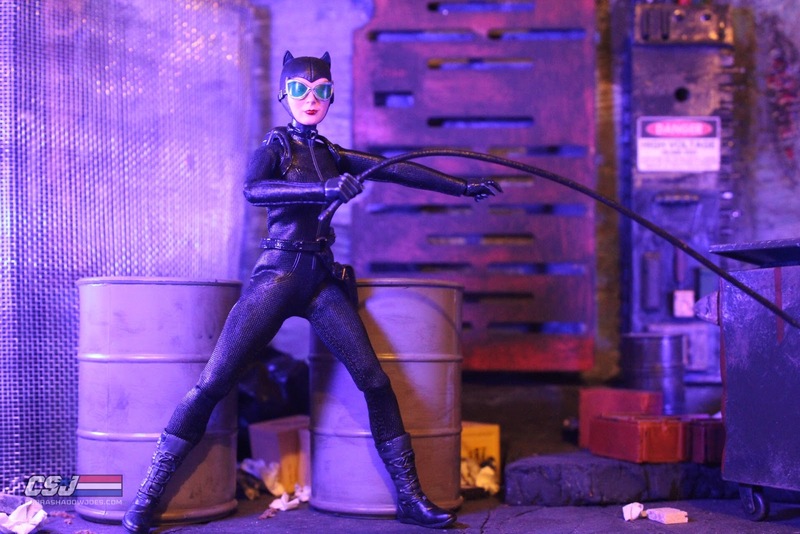 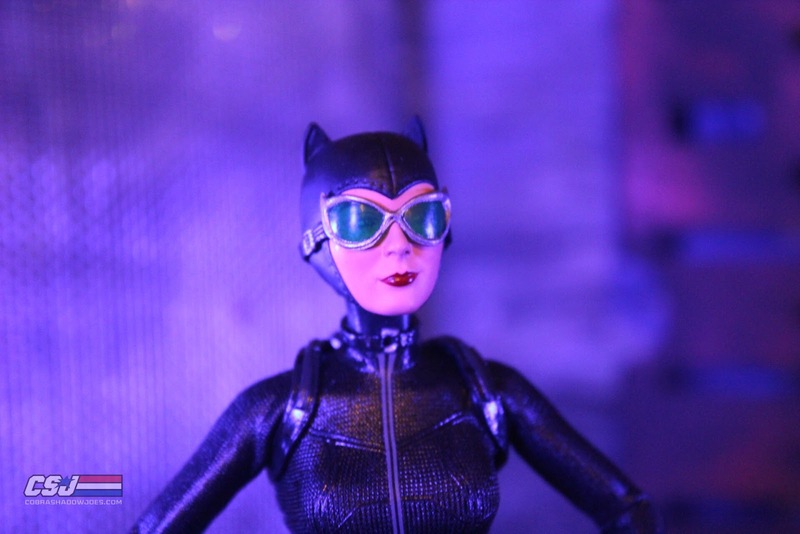 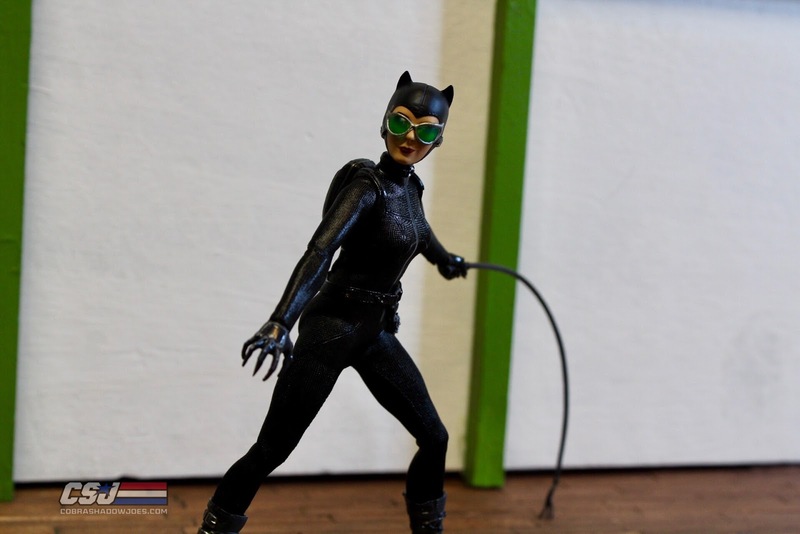 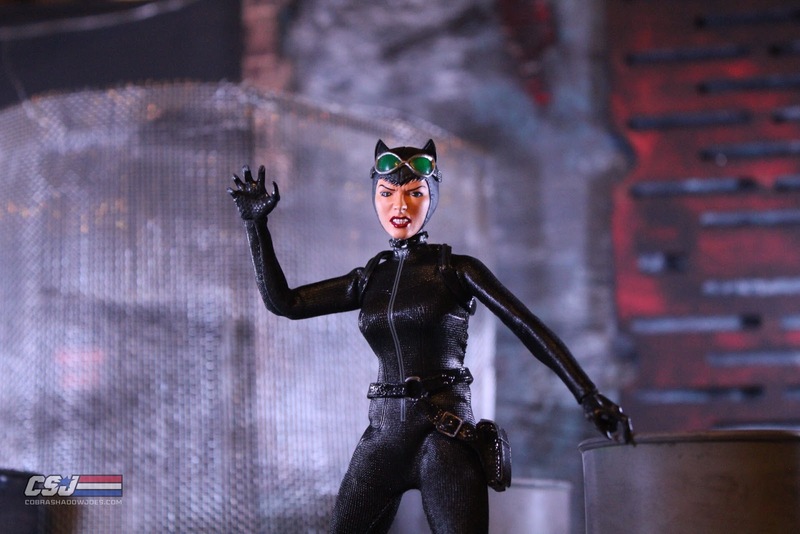 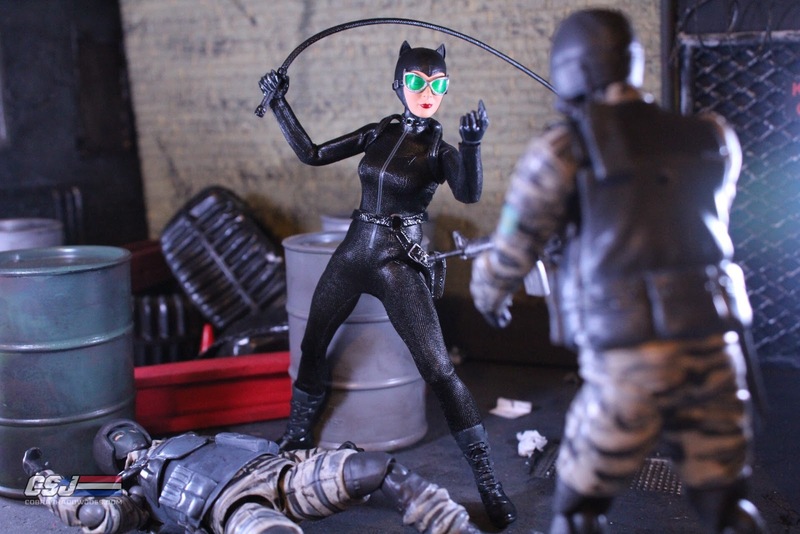 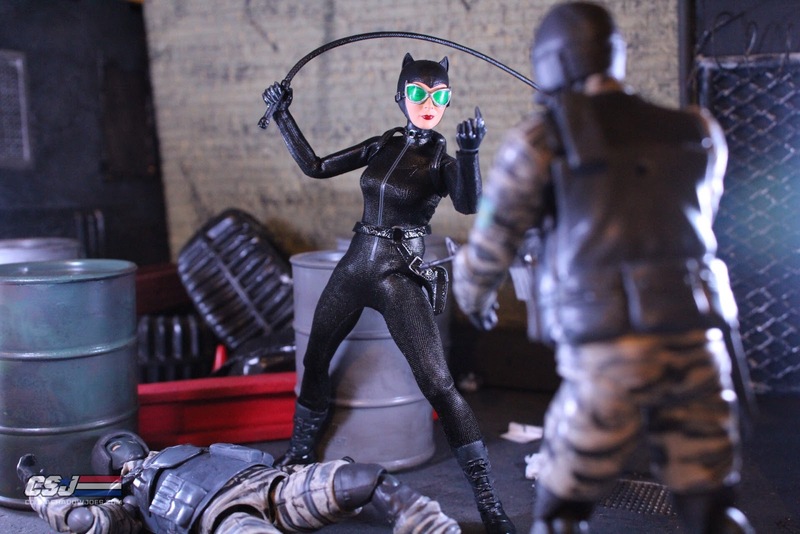 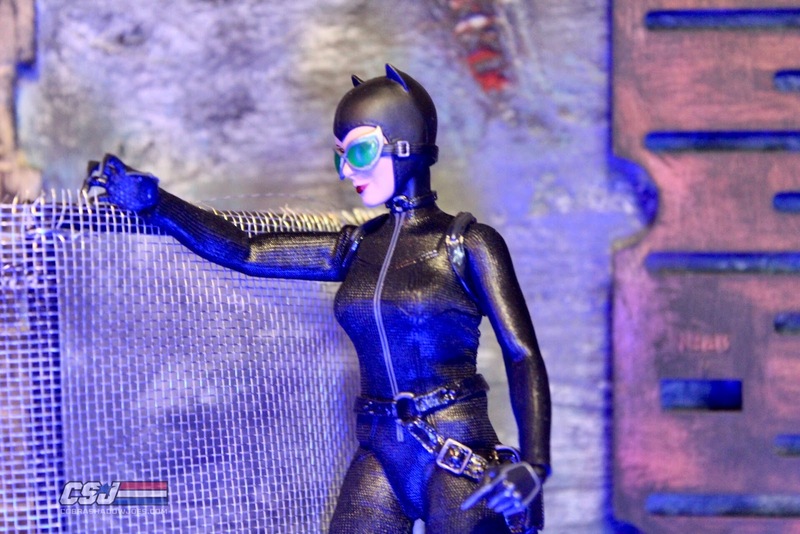 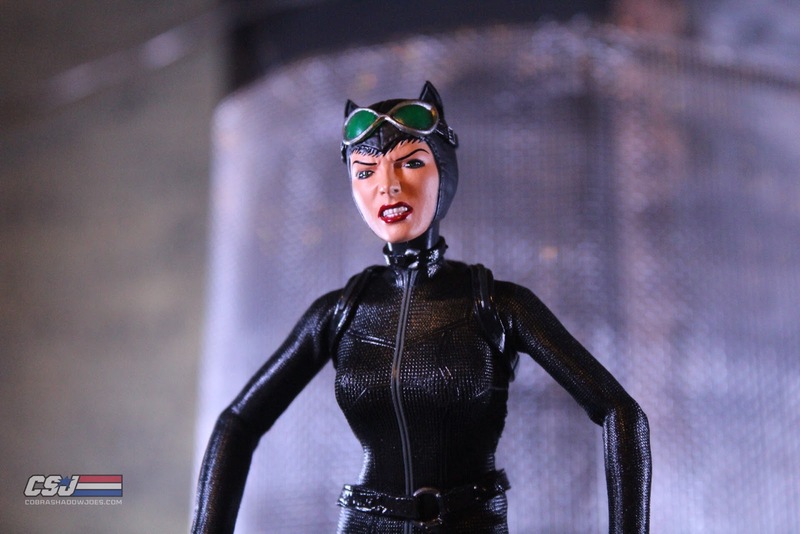 Catwoman scales well and has that classic look that aligns with the figures Mezco has recently released. 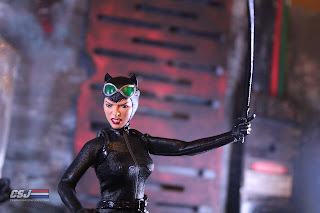 All three face sculpts are well done and have a unique look of their own. 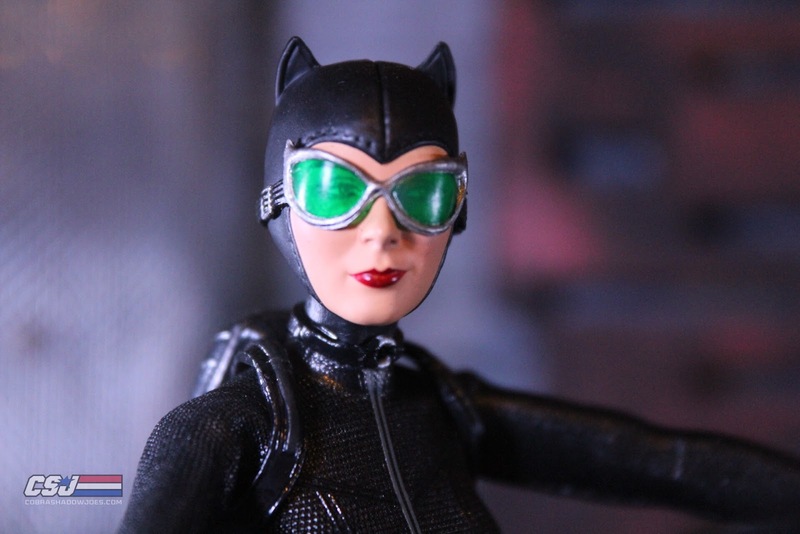 Her goggles allow you to place them on her forehead or on her eyes, but it can be a little tough to put them on. 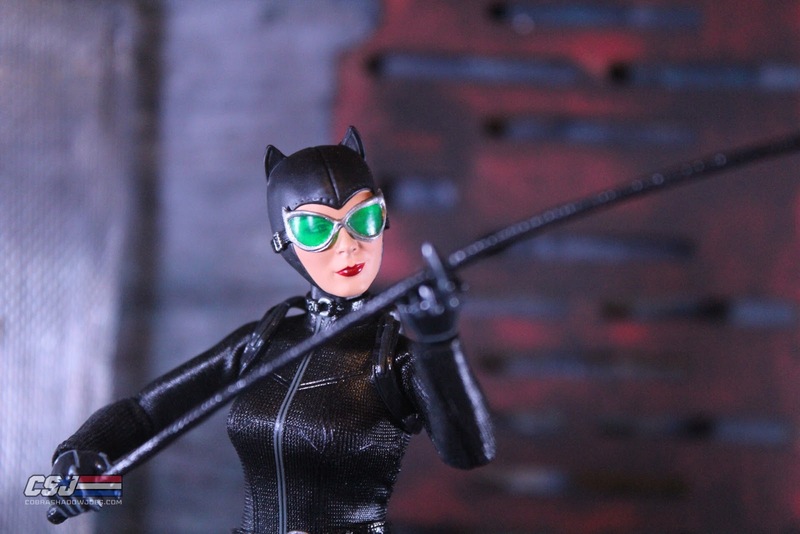 If you would like to have them over her eyes the best way to do it is to remove the head and slide them from the bottom of the head up. 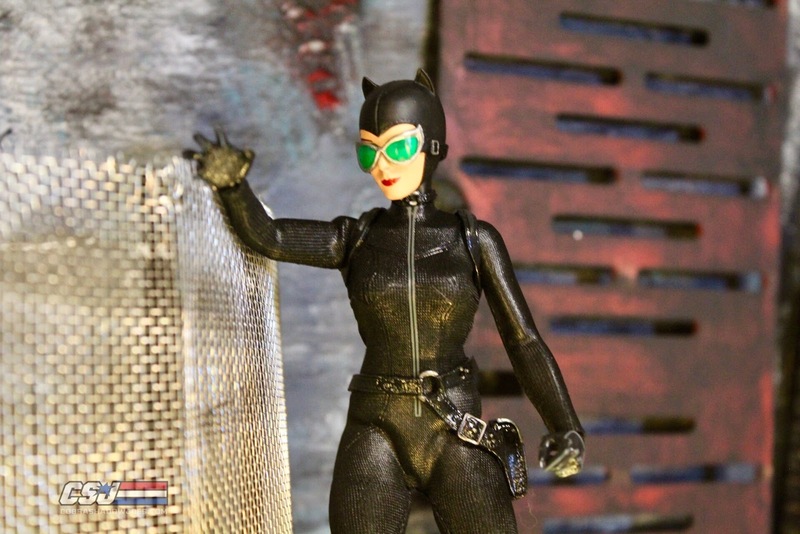 She also has a burglar kit on her leg and a nice size and form fitting backpack that she wears. 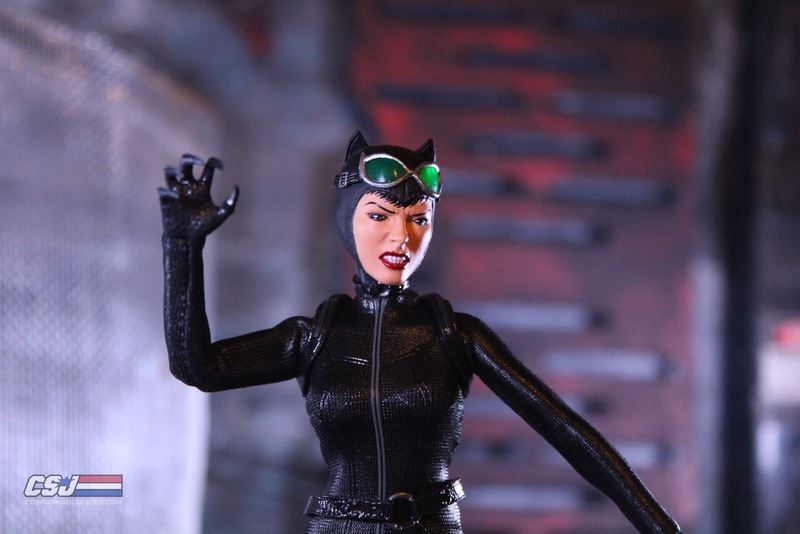 She comes with a few sets of hands, but I was a little disappointed with the claw hands as they are not as sharp looking as what was shown in the promo pics. 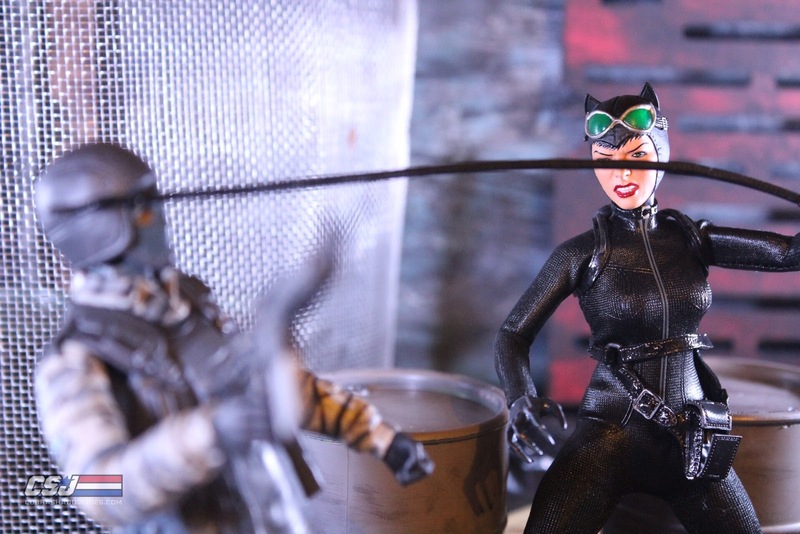 I didn't have any issues with the joints on her but have seen numerous people breaking the joints almost immediately out of the box. 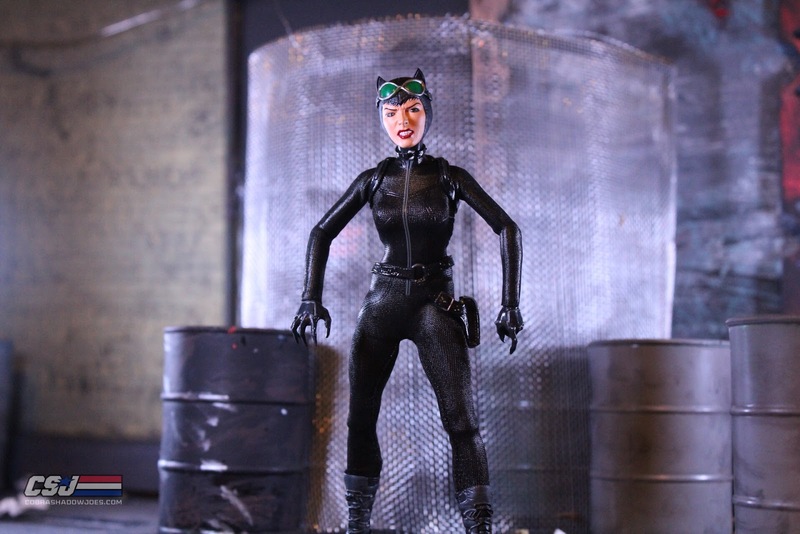 She is also very tough to stand on her own so you will most likely have to use her stand to pose her. 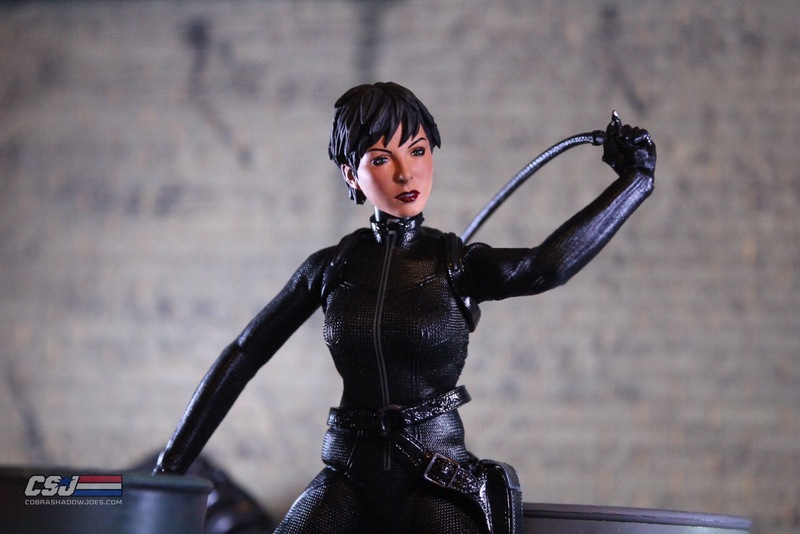 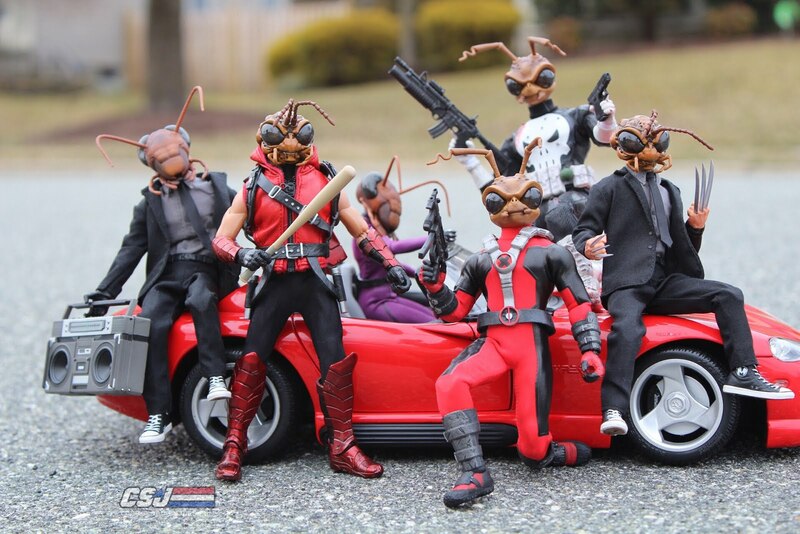 Mezco is trying to put out female figures to go along with the predominately male figures they have released, but they are a little behind the male figures. 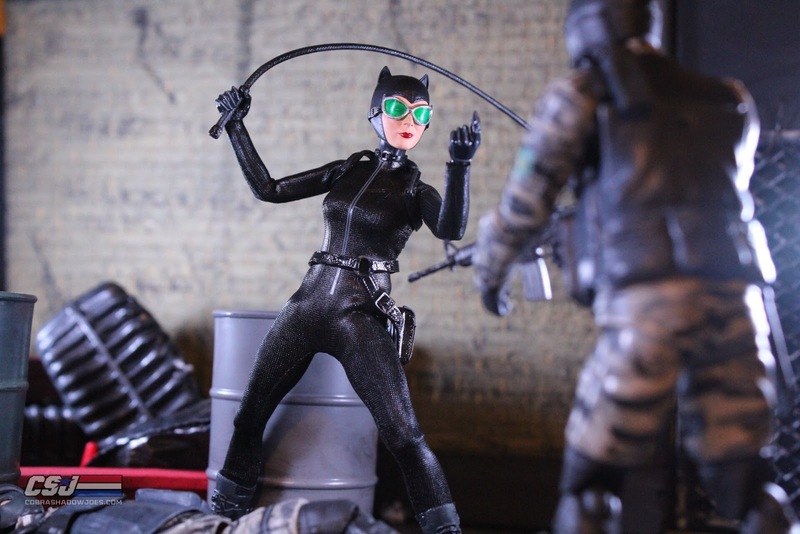 The sculpts are great, but the bodies are a little basic and some people have had issues with broken joints so be mindful of this if you pick her up. 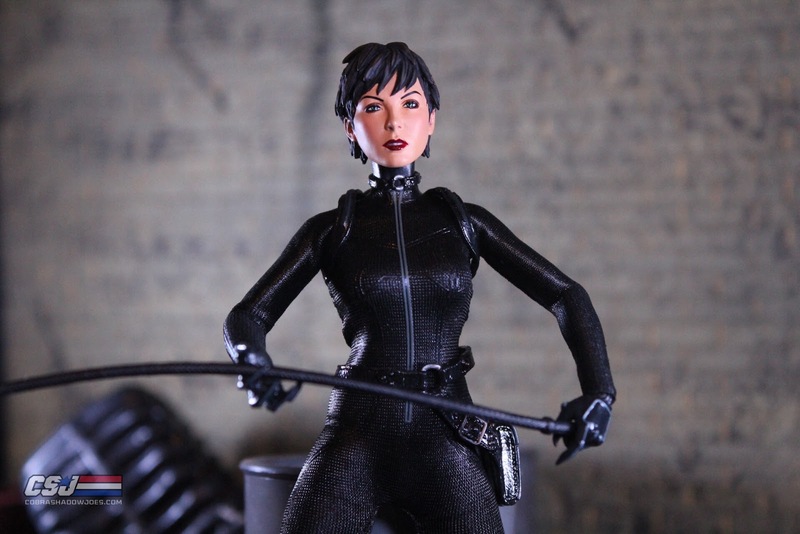 Even with some subtle flaws she is still a sharp figure that I would recommend picking up. 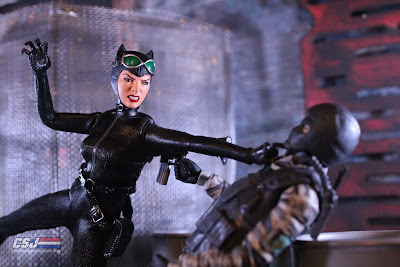 This is better than any previous Catwomen figure I've ever owned in this scale. 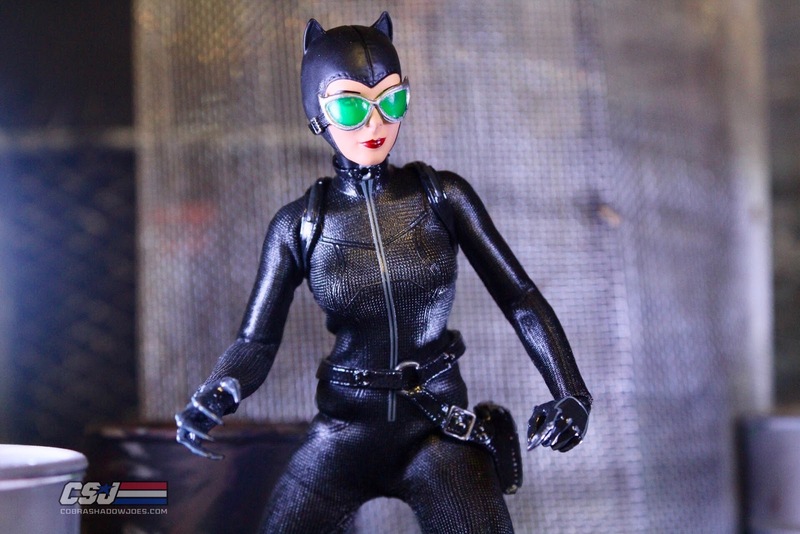 Let us know what you think of her if you pick her up as we are anxious to get the purple suit version from Mezco!